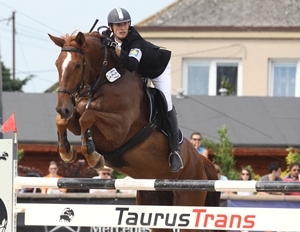 Jakub is one of the Czech show jumping riders to watch. He regularly takes part in the Czech Showjumping Championship, Grand Prix, and other competitions up to the level T** (150 cm). He is an ambitious rider, he has already made a number of considerable achievements and there are undoubtedly many more successes to come. 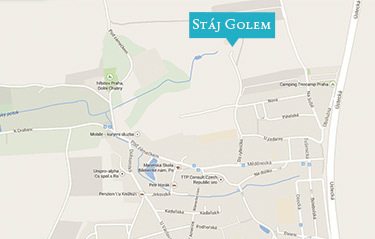 In Golem Sport Stable he acts as a manager and also as a coach. Riders appreciate his ability to explain things, his empathy and patience. 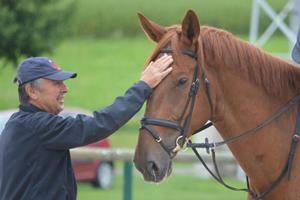 Alois Starosta is a respected show jumping coach. He has an immense sense for the sport and is able to recognize a great talent in horses that others have already written off. He started riding in the TJ Žižka Praha Club. In 1970, he moved on to the TJ Lokomotiva Vršovice Club where he was giving lessons and riding. With his most successful horse, Rival, he was several times placed on the podium in the Czech Championship Team Competition. In 1968, he was joined by Jan Sídek and together they embarked on a long distance ride to The Hague. When they reached the Dutch city (claiming the European longest horse ride record), they sold their horses and flew to Mexico. Unfortunately, due to safety concerns, they were not allowed to continue their ride on Mexican soil. Alois Starosta acts as the chairman of the Czech Equestrian Federation Show Jumping Commission, he is also a judge for the Young Horse Competition Series and a certified horse competition judge. 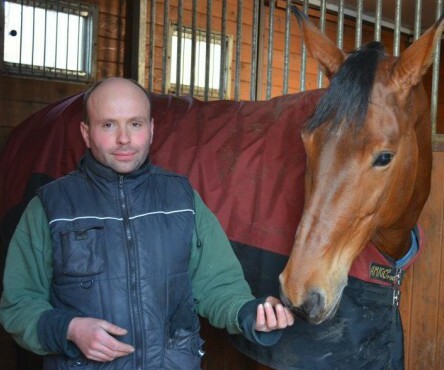 Mr Starosta devotes his time to horse and rider training, Jakub Novotný is one of his charges. 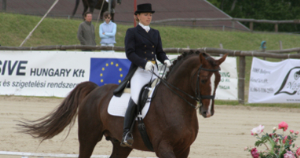 Štěpánka Koblížková is a successful dressage rider and coach. With her horses she scored top places in the Czech Dressage Championship and celebrated many achievements in competitions abroad. Her horse Rasputin was named dressage horse of the year in 2001 and 2002. Another one of her horses, Blacoro, won the same award in years 2003 – 2005. She is now sharing her rich riding experience and Golem Sport Stable is one of the places where she gives lessons. Martin has been around horses since his childhood because his mother worked as a groom and a modern pentathlon instructor. He is an experienced stableman having worked for several equestrian centers. He rides recreationally and owns a Haflinger called Matouš. Apart from his work in the stables, Martin also provides healthy sleep tips, find out more here.